A native of Corby in Northamptonshire, Billy signed his first professional deal with Leicester City after coming through their youth ranks. He made his pro debut on loan at Hinckley United in the Conference North where he played just two games. He returned to Leicester for a season with the youth team and established himself as a goalscorer. However, at the end of his contract he left to sign for Northampton Town. 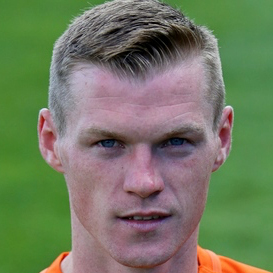 After two seasons with the Cobblers, Billy moved to Scotland where he signed for Inverness Caledonian Thistle. Despite a quiet first year, Billy went on to score 62 goals in three and a half seasons for the Highland side. It was while at ICT, that Billy won his first cap for Northern Ireland, having played for the U21 side since 2008. During the January transfer window in 2015, he moved to Wigan Athletic for a reported £150,000. 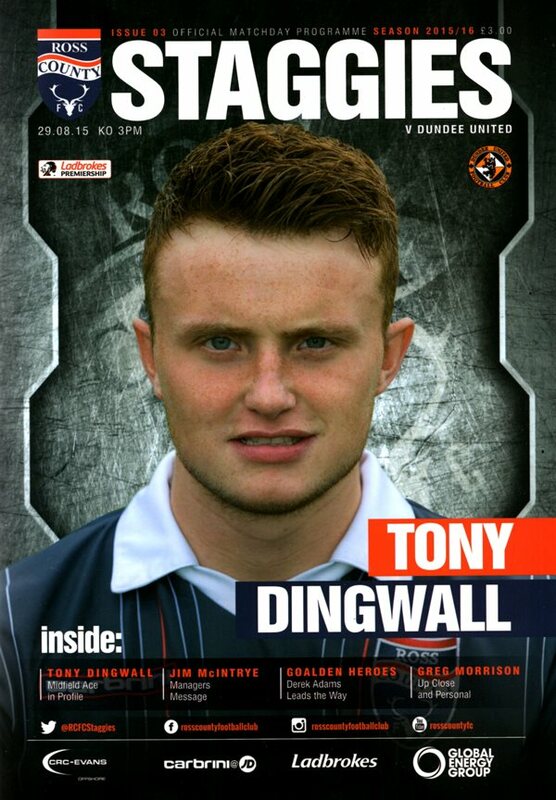 In August later that year, after a series of negotiations, Billy agreed a season long loan move to Tannadice. Billy was born on this date in Corby, England. Although still early in the season, there was a real sense of significance around this match at the Global Energy Stadium. While United had picked up just four points in their opening five games, their hosts' arrived in fine form, having already won two games in the last week. Manager Jackie McNamara made three changes with new signing Billy McKay starting and both Rankin and Dow coming into the side. County were unchanged from their last league match. Manager Jackie McNamara made four changes from the side that lost at Dingwall. Loanees Aaron Kuhl and Adam Taggart from Reading and Fulham respectively made their débuts in midfield and up front. Callum Morris returned to the defence for the first time since May, having recovered from a thigh injury while Scott Fraser started. Making room for them were Paul Dixon, John Souttar, John Rankin and Chris Erskine. The hosts started with a spell of pressure and forced an early corner before Billy Mckay twice found space deep inside the box only to be thwarted by the visiting defence. In the 25th minute good set up play from Mckay gave Blair Spittal a chance at goal but his left foot effort was screwed wide before Gavin Gunning had to block a fierce Gary Harkins drive for a corner. Disaster struck for United in the 34th minute when a McGowan shot from outside the box deflected straight into the path of Kane Hemmings, who couldn’t miss as he slid the ball under Kawashima despite the efforts of Paton to keep the ball out. Rankin, Dow, Anier and Gunning all had half chances which were struck over the bar and then right on half time the task was made doubly difficult for United. Greg Stewart, who had looked suspiciously offside, was allowed to run clear before squaring to Kane Hemmings who bundled in from close range. There was a flashpoint right on the half time whistle between Paul Dixon and Stewart which left the United man rolling on the ground but the officials remained unmoved.